Did you know that there are only 4 chicken nugget shapes? Did you know each of the 4 shapes even have names? Which chicken nugget shape is your favorite? 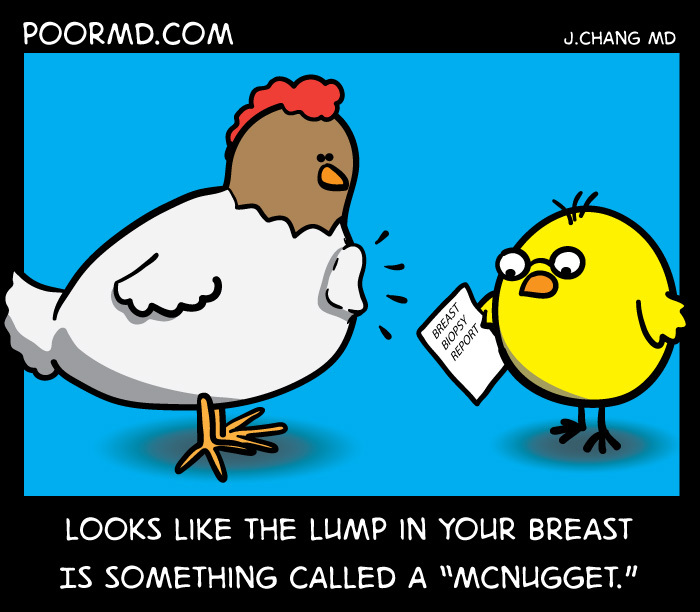 Can you tell which nugget type caused the poor hen's palpable chicken breast lump?